In 2014 Sunset began a major multi-continent effort using hand-held solar-powered audio players to reach the world with the Gospel. The Solar Event continues to spread the Word to the rest of the world. During Phase I, Sunset is delivered 2,000 solar-powered audio players to the African nations of Ghana, Liberia and Zimbabwe. 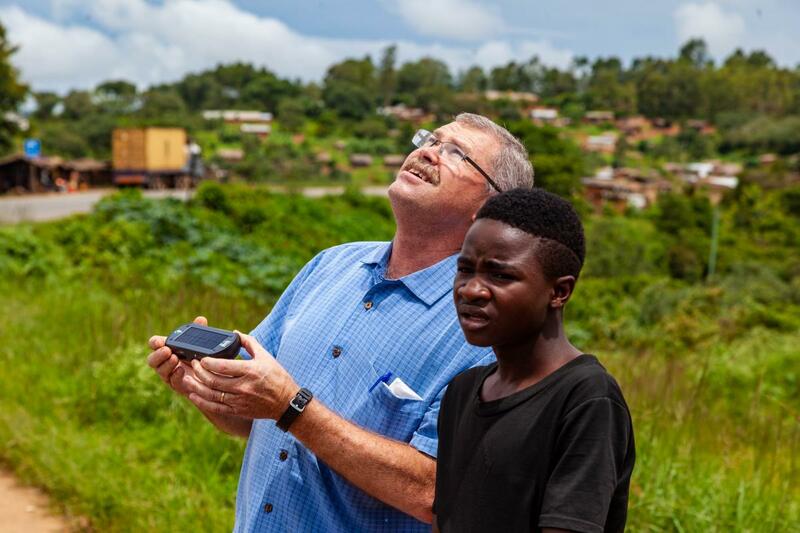 Each solar player is the size of a “fat” smart phone and will contain the entire Bible, all 40 of Sunset’s courses (320 + hours of in depth Bible study), World Bible School lessons, other Bible teaching and recorded singing so hymns can be learned. 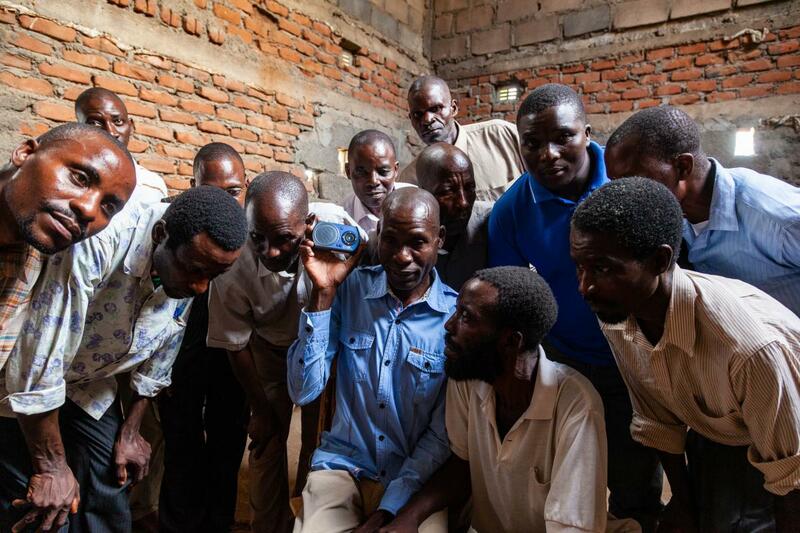 Phase II in 2015 continued to spread biblical training using this innovative mission method to Nigeria, Kenya, South Sudan, and Ethiopia with another 2,000 solar-powered audio players. This phase also included the translation of the course material into Amharic for the people of Ethiopia. This is in hopes of further translations to come in subsequent phases. Phase III, Sol to Soul, began in 2016 and carried through 2017. For this project, Sunset made the solar player available in Spanish. The goal was to deliver 3,000 solar-powered audio players to Central & South America and the islands of the Caribbean. Beyond these efforts, many donors continued to give to send solar players to Africa. Phase IV concentrates the island nation of the Philippines. Sunset intends to fill the islands with 2,000 solar players to help mature the growing church in that nation. During this phase, aggressive translation work will continue for future phases to provide solar players in Arabic, French, Creole, Telegu and Mandarin. Millions couldn’t read the Bible even if it were given to them in their own language. In fact, 774 million adults in the world can’t read or write. Others live in remote locations where 1.5 billion don’t have electricity. In Zimbabwe, 80% of the rural population does not have electricity. These handicaps inhibit them from learning about the Gospel. They don’t know and believe because they haven’t heard. 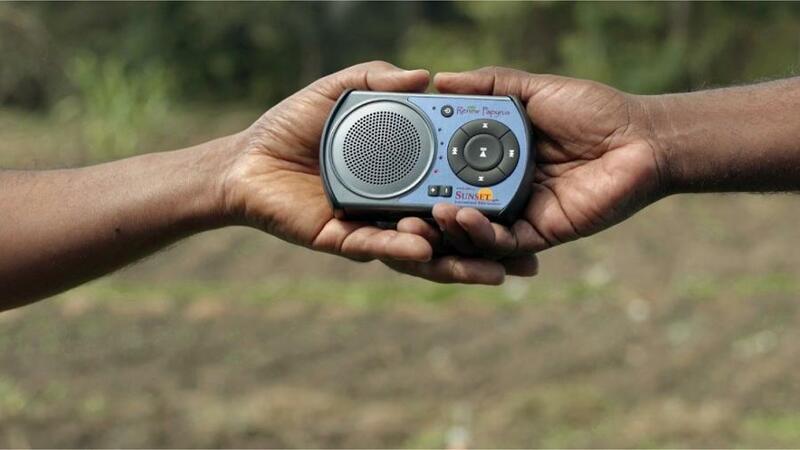 But now, with solar-powered audio players, they can hear the Word of God and believe. For them, faith really does come by hearing. We will use the power of the sun to teach about the Son. How can those who would respond hear if there are not enough preachers and teachers to reach them with the Word? In this Phase I effort, Sunset will deliver solar-powered audio players to trusted brethren, many of whom are graduates of Sunset’s affiliated schools, in the three targeted nations. The solar players will then be used to train more preachers, teachers and churches who will use what they learn to convert more people, plant new churches and mature existing congregations to grow in the faith. This means we want to reach every person in the world with the Gospel… even those who are most remote. For $500, each solar player can provide the entire Bible and teach it in depth to thousands, year after year. We are asking you to give to this Solar Mission. Hundreds of Church of Christ congregations and thousands of individuals nationwide are already a part of this effort. You can join them. How many solar players would you like to provide? How much light do you want to send?